Being a mom can be one of the most wonderful journeys you’ll ever make, but it can also wreak havoc on your body. If your family is complete and you want to regain your pre-baby body (with a few improvements), a mommy makeover is just the ticket. 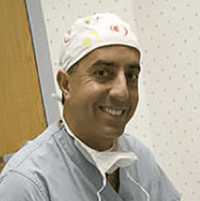 At Pousti Plastic Surgery, board-certified plastic surgeon Tom Pousti MD, FACS, helps women in the San Diego area look as if they’ve never seen the inside of a delivery room. To learn more, call the office or fill out the online form to request an appointment. Please visit our photo gallery to see thousands of patient before and after images. Your body undergoes a tremendous amount of change when you have children, and not all of it is welcome. First, the pregnancy stretches out your abdomen, often leaving you with dysfunctional abdominal muscles and excess skin that’s been stretched beyond its limits to bounce back. Then breastfeeding can do a number on your breasts, leaving them saggy and hollow. A mommy makeover surgery is designed for women who are through having children and want to regain their pre-pregnancy bodies. Breast augmentation is designed to increase the fullness, size, and shape of your breasts with implants. Dr. Pousti surgically removes excess folds of tissue from your abdomen that have been stretched out by pregnancy and lost their ability to bounce back. He can also repair your abdominal muscles, remove some stretch marks, and get rid of fat deposits during your tummy tuck procedure. Dr. Pousti vacuums out extra fat from beneath your skin, which he can do as a standalone procedure or as part of a tummy tuck. As the name implies, Dr. Pousti moves your breasts up on your chest wall to give you a more youthful profile. The doctor can combine this procedure with a breast augmentation if breastfeeding has robbed your breasts of their previous fullness. If your breasts didn’t shrink back down to their original size post-pregnancy, Dr. Pousti can remove excess tissue, giving them a better shape and position. Dr. Pousti reviews your mommy makeover cost before you get started so you know what to expect. How many surgeries does a mommy makeover take? Dr. Pousti is one of the best mommy makeover surgeons and makes every effort to combine your procedures, but you may have to undergo multiple surgeries to get your body to your goals. The number of procedures you need depends entirely upon the areas you want to tackle and the extent of the work needed. During your initial consultation, Dr. Pousti sits down with you to discuss your wishes, and then he performs a physical exam so that he has a better idea of what sort of timeline you’ll need. If you like being a mom, but aren’t thrilled with your “mom body,” call Pousti Plastic Surgery to learn more about the mommy makeover. Or use the online scheduling tool to set up a consultation.